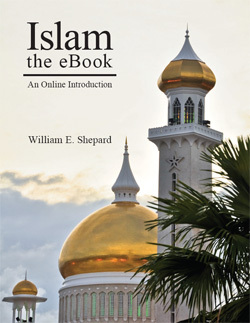 Islam – the eBook seeks to present a sympathetic, accurate and understandable account of the Islamic religious tradition. One of its primary aims is to help the reader understand contemporary events and developments in the Muslim world by understanding the historical development of Islam and the cultures and civilizations in which the religion has been embedded. Attention is also given to the impact of Western culture and imperialism and the Muslim response as this has varied in different areas, particularly Turkey, Egypt, Iran and Indonesia. Attention is also given to Islamic forms of "globalization". At all points an effort is made to convey Muslim viewpoints and the viewpoints of Western scholarship where these differ.